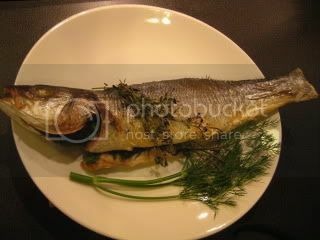 I got a very nice whole branzino. So, I made a simple oven-roast dish with it. Once the fish was cleaned and pat-dried. I seasoned it inside-out with salt and pepper, then stuffed with a mixture of herbs (thyme, oregano, dill, parsley, and mint). 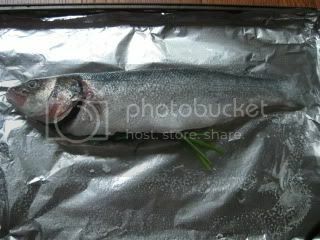 After about 20 minutes in the 400F oven, the fish was ready. 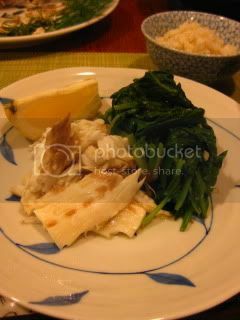 It was served with some lemon wedges and steam-fry spinach (with my tagine-style donabe, "Fukkura-san"). So simple and so complete. The fish was really pure and delicious. I also made rice (with double-lid donabe rice cooker, "Kamado-san") and kabocha and tofu miso soup with my soup & stew donabe, "Miso-shiru Nabe". 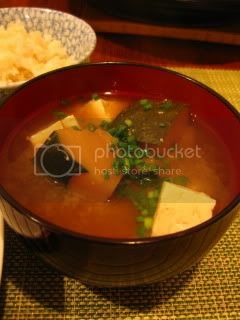 The miso was our aged homemade miso, which was so deep and soothing.